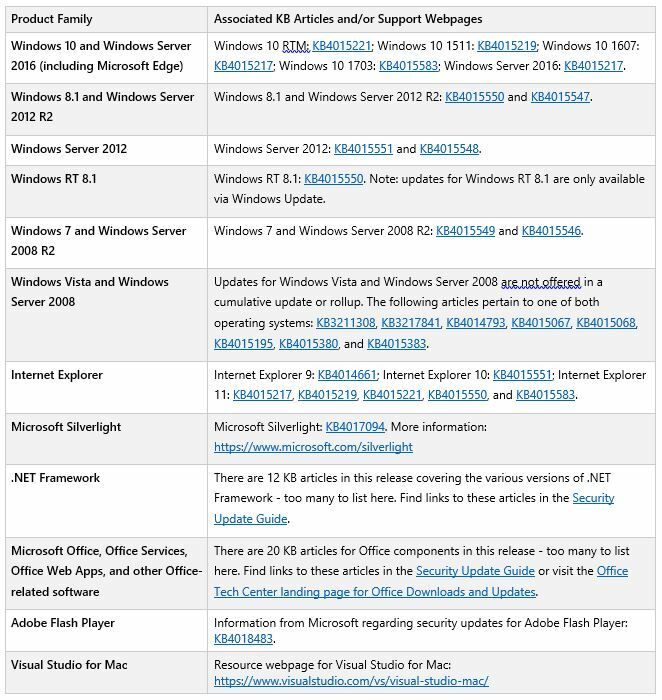 Below is a summary of the April 2017 Security Updates released by Microsoft. These will be approved for campus on Tuesday, April 18th. For full details, see the Microsoft Security Update Summary.